Delaware celebrates following their 27-10 victory against Cornell Saturday. Joe Walker dazzled as Delaware dispatched the Cornell Big Red, 27-10, Saturday. Cornell took the opening possession and drove down to Delaware’s red zone. Following a bend, but don’t break mantra, the Hens gave up three points following a 13 play, 64 yard drive. They were the only points allowed by the Blue Hens first team defense. “As the game went on, it was evident to me that our defense was not gonna give up many points,” head coach Danny Rocco said. The defense allowed 232 total yards of offense, and didn’t give up a touchdown until there were 26 seconds left in the fourth. Seniors Malcolm Brown, Troy Reeder and Ray Jones stood out, they combined for 26 total tackles. 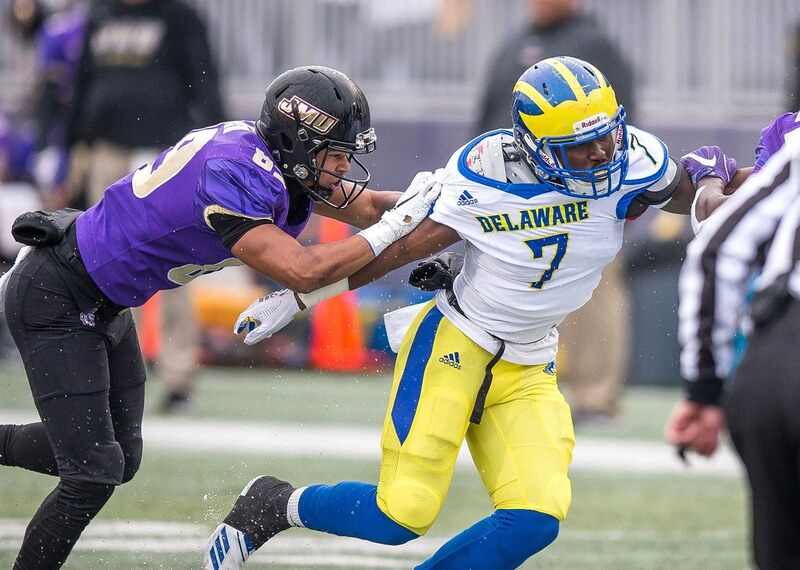 In perhaps the best game of his Blue Hens career, Joe Walker racked up 154 yards on 6 catches, including a 14-yard touchdown catch. His 154 yards are the most since Michael Johnson recorded 168 against Wagner in 2013. The redshirt senior became the first player in Delaware history to earn 100 rushing yards, 100 receiving yards and 200 passing yards in a career. Joe Walker makes his second touchdown catch of the season, a 14-yard completion in the first half against Cornell. Walker’s breakout lends an explosive play passing option that the Hens have lacked in recent years. Walker blew past Cornell’s defensive backs on many of his catches, including three that went for 35 yards or more. “When we get him the ball deep down the field, that’s really changing the game,” Rocco said. Prior to this year, redshirt junior Pat Kehoe hadn’t thrown a pass for the Blue Hens. The Cheshire Academy product has now produced over 200 yards passing in three straight weeks. The 6’4”, 240-pound quarterback stayed active on his feet too — he rumbled for 23 yards and a touchdown. Despite a top 15 preseason ranking, the Hens ended the first part of their schedule 2-1. 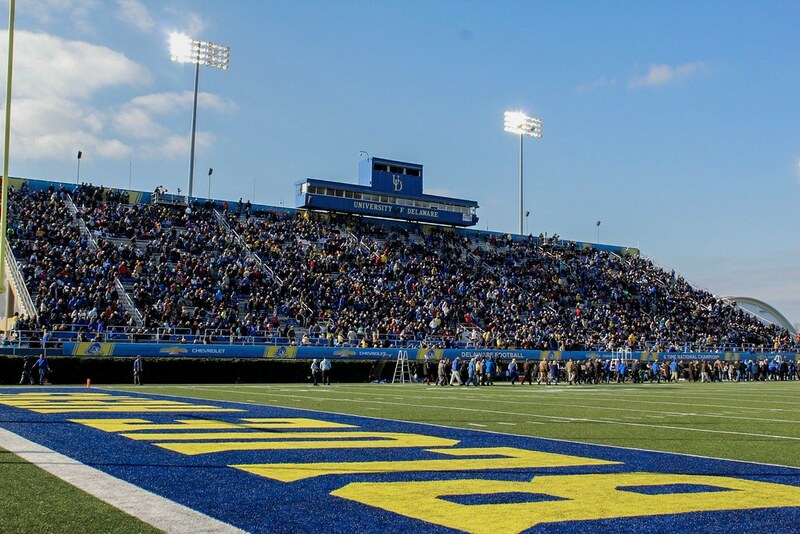 Next week, Delaware travels to North Dakota State to face the number-one-ranked FCS powerhouse. The Bison sit pretty atop the country, opening the season 2-0. 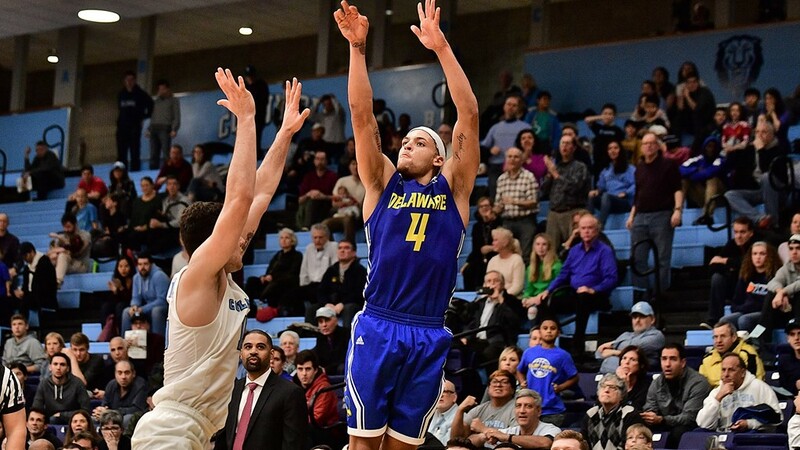 Following a trip to Fargo, Delaware faces the rest of their conference schedule.